POLAR debuted 2-1/2 years ago as a pen that can do your writing when it's time to TCB and then serve as an accomplice to your goofing off when it's time to TCB, but you really don't feel like it. 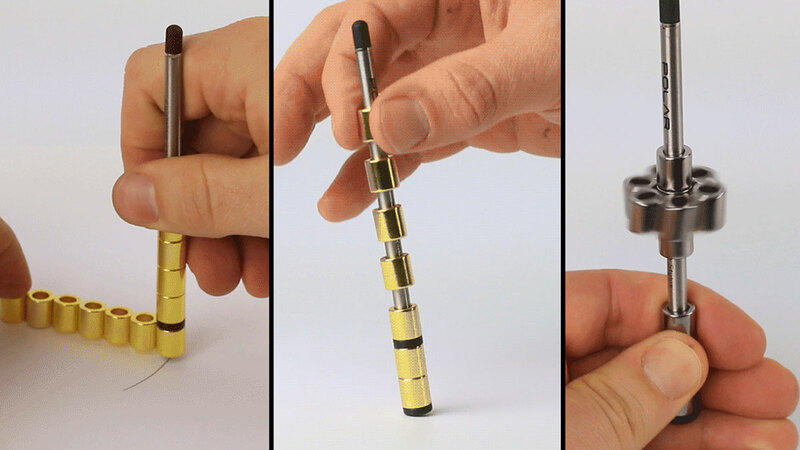 The modular pen consists of an ink refill skeleton covered in 14 rare earth neodymium magnets of body armor. 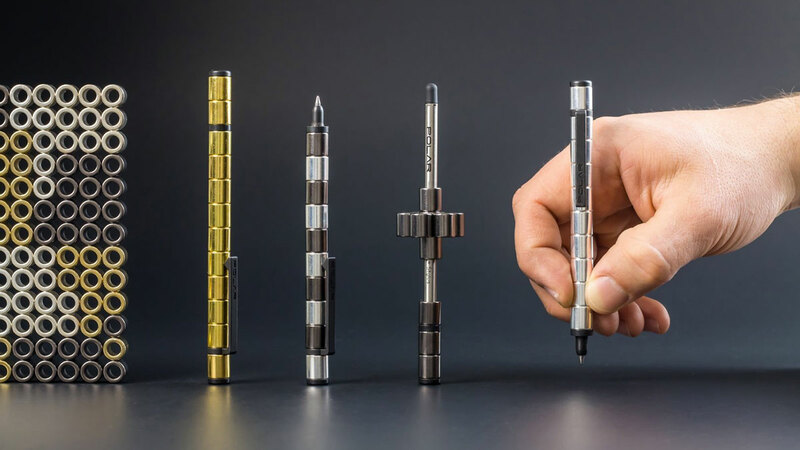 And next month, POLAR is going to release a new, upgraded version of the stack-and-clack writer, the POLAR Pen 2.0. Ink Refills. 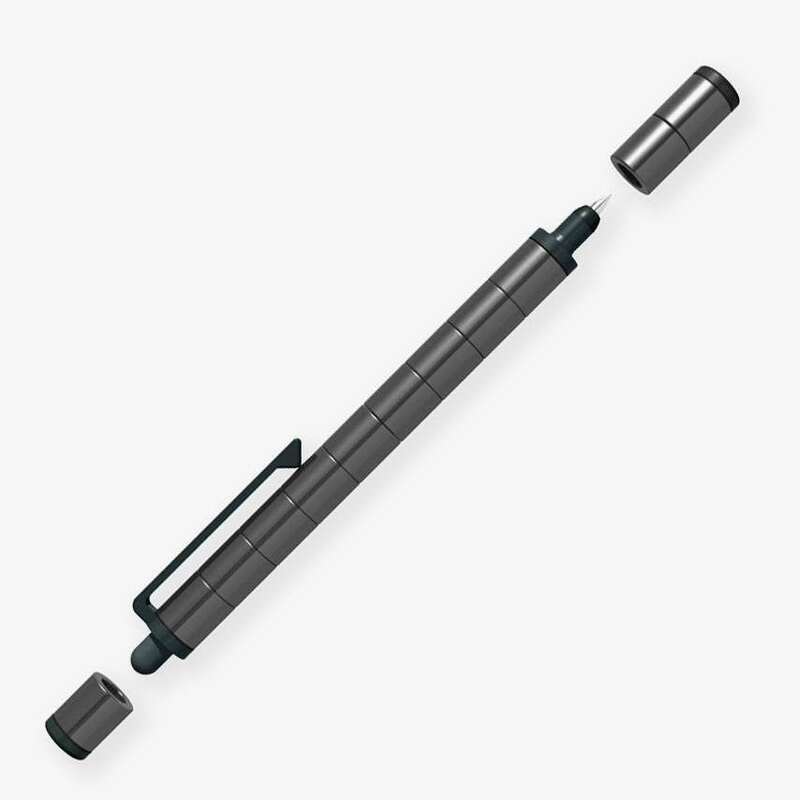 A 0.5mm smooth rollerball pen protrudes from one end, and a 5mm fine capacitive touchscreen stylus links up to the other. 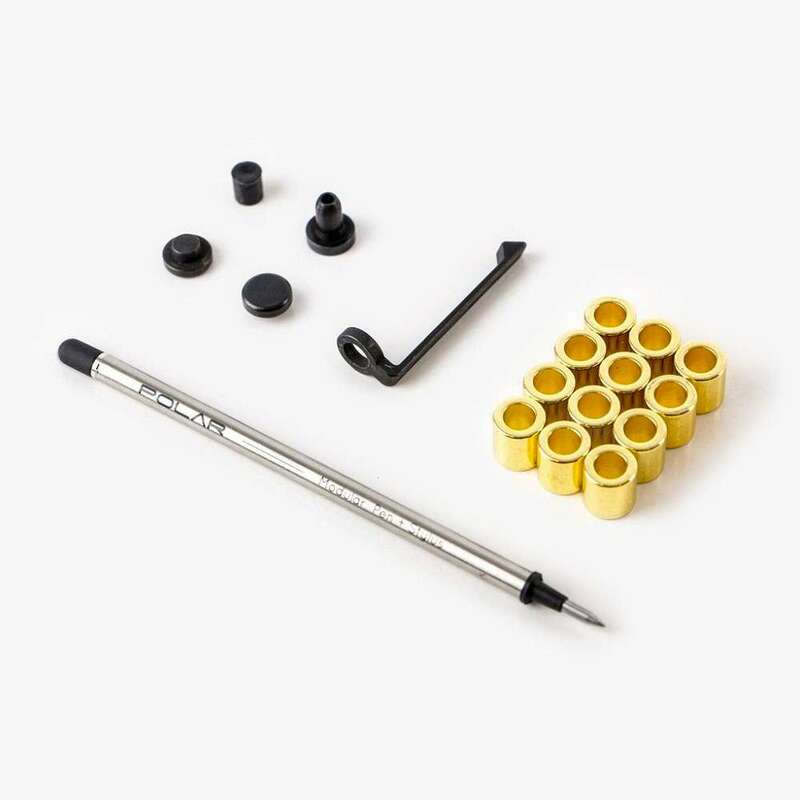 The pen's body is made from medical grade stainless steel so it will stand up better to repeated POLAR breakdown and reassembly. It is available in Black (included), Blue, and Red. Components. 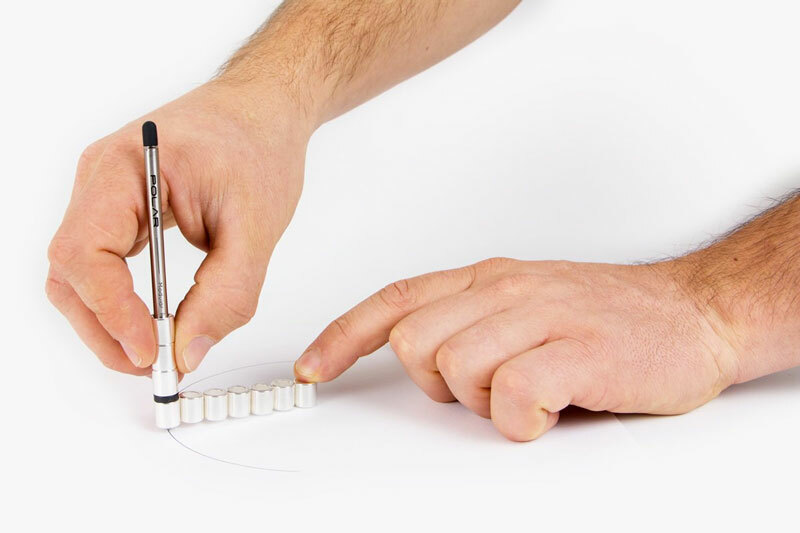 POLAR says they have made "subtle updates" to their pen modules to create a softer, more comfortable feel in the hand both during writing and fiddling. 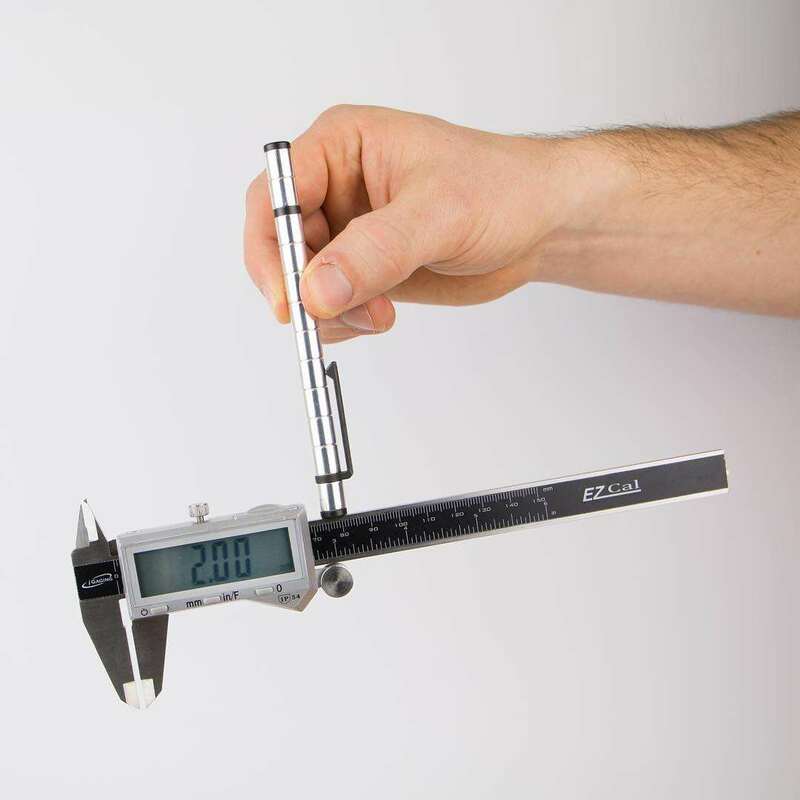 Unchanged in the POLAR Pen 2.0 is your freedom to deconstruct and reconstruct it as a ton of different tools and toys, such as a drawing compass, finder of magnetic north, and sweet doohickey to dink around with during meetings or at jury duty. Check out the videos above for some examples of the POLAR's lures for tinkerers. 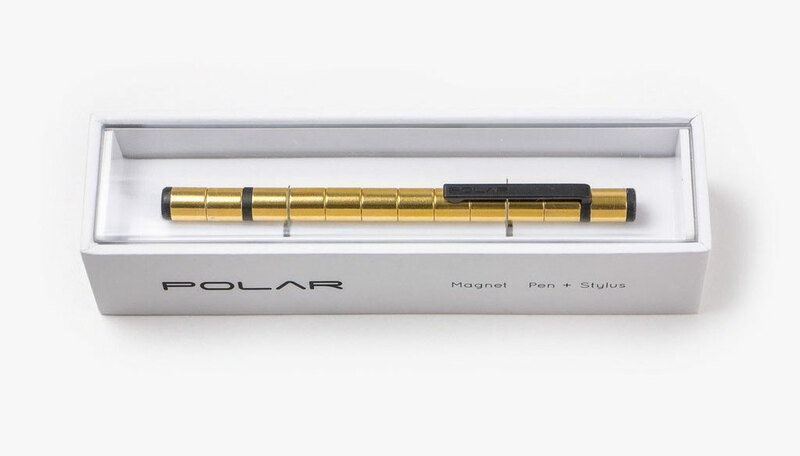 The POLAR Pen 2.0 comes in Gunmetal, Silver (plated), or Gold (plated) colors. Seriously nifty packaging boxes it up with 2 x caps, 1 x pen clip, 1 x pen tip, and 1 x black ink refill.